i often think about food, pretty much at all moments of the day. at 9am the question pops into my head “what will i make for dinner?” — and then i day dream about cooking in a beautiful kitchen. i don’t discriminate, i like all kinds. modern kitchens, french kitchens, kitchens with copper pans hanging from the ceiling. what i dont think about? cooking in my little city of chicago kitchen. no bueno. so i will keep dreaming that one day, i will go to the farmers market with this bag, pack it up with goodies and take it back to my lovely kitchen with loads of natural light and cook up a delicious french onion soupy (recipe to come) with these pots. now who’s comin’ for dinner? p.s. 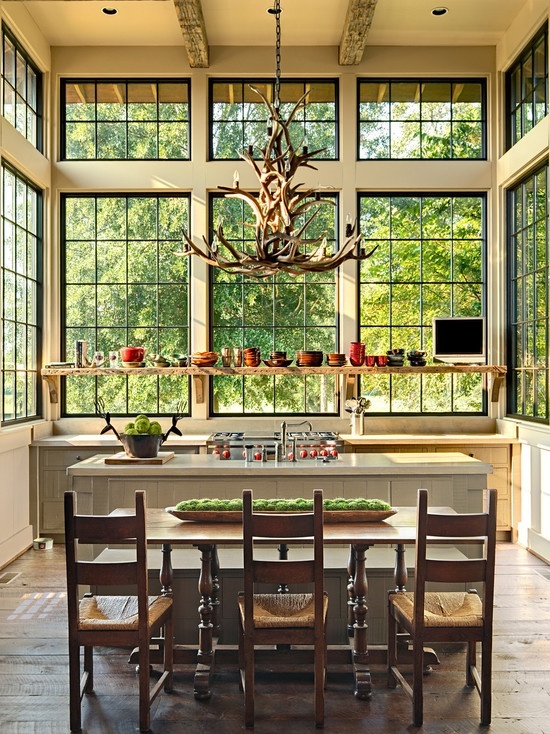 – how awesome are those windows in the above picture and the antler chandelier? 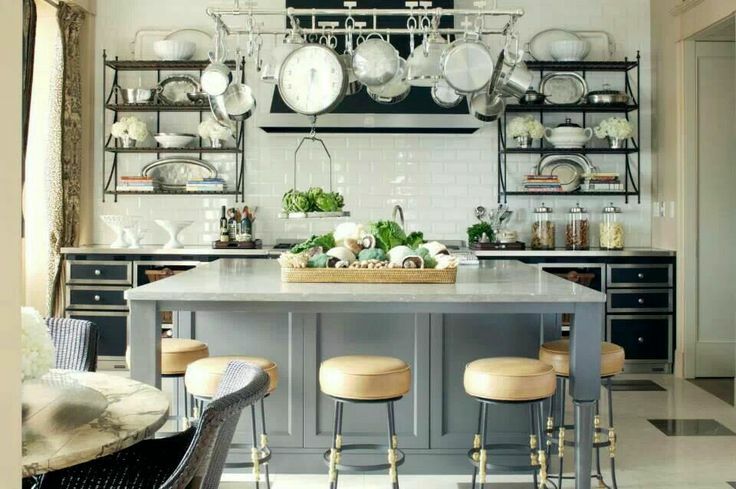 i want to live in that kitchen and swing from the chandelier (similar).